New students who have completed placement testing or an alternative are required to attend a New Student Orientation (NSO) session. At NSO, you receive a general orientation, academic consulting and priority registration for classes. Join us for an NSO where we can introduce the campus, student resources, and get you in front of an academic counselor and ready to register for your classes. 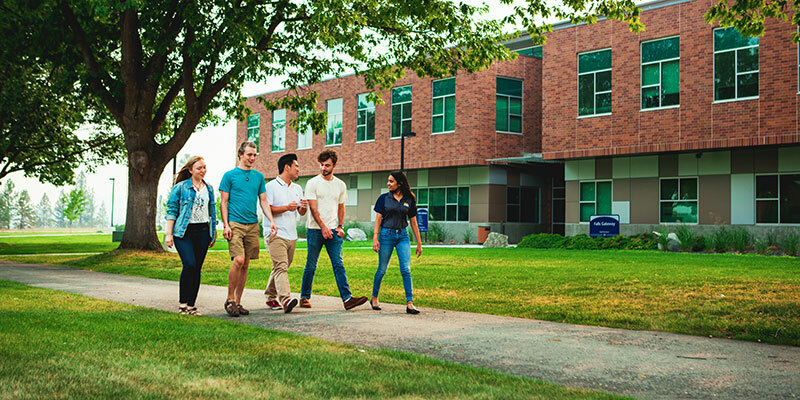 Learn about campus and culture at SFCC. How Do I Attend an NSO? A staff member will sign you up after you complete your placement testing or alternative. If you need to schedule an NSO because you tested at another location or are exempt, call the Testing Center to schedule an appointment at 509-533-3401.
Who can attend the New Student Orientation? Students without previous college experience and who have completed a placement or submitted alterative placement documents through the Testing Center may attend. You receive a priority registration date. You can meet with an adviser and register for classes. New Student Orientation will familiarize you with resources available to students at SFCC. New Student Orientation, academic consulting, and registration requires a minimum of 3 hours. A staff member will sign you up after taking your placement test or alternative placement testing.